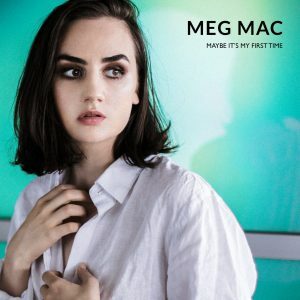 Singer songwriter MEG MAC reveals another taste of her long awaited second album, LOW BLOWS, through stunning soulful piano based new single, Maybe It’s My First Time. Download/stream HERE. Maybe It’s My First Time was recorded in Fort Worth, Texas with Niles City sound – the producers and players behind Leon Bridges – and mixed at Electric Lady in New York. Meg explains “Maybe it’s My First Time is about trying to get through a bad time. When you’re hurt, you can keep going over and over the pain in your head and drive yourself crazy. I wanted to stop all that and only look back once and be done with it. To cruise past my pain instead of living in it”. Maybe It’s My First Time is the follow up to album title track Low Blows, which has received extensive radio support. Meg Mac’s first Australian tour dates in two years, exclusive shows in Sydney and Melbourne, have sold strongly, with a second date already added for Melbourne’s The Forum. These dates will be preceded by a key performance slot at Splendour In The Grass at Byron Bay in July. LOW BLOWS the album is a powerful set of dynamic, deep soul, exhortations that have an all-enveloping atmosphere and presence, distinctly and uniquely MEG MAC. It will be released on July 14. Watch Low Blows video HERE. Low Blows album available on CD, Digital, streaming and vinyl. Exclusive vinyl at JB Hi-Fi. Exclusive merchandise bundles available at MEG MAC STORE. Fans who pre-order ‘Low Blows’ via iTunes, the Meg Mac store and JB Hi-Fi will have access to three bonus acoustic tracks, ‘Every Lie’, ‘Never Be and ‘Saint Philomene’. In 2014 MEG MAC was named Triple J’s Unearthed artist of the year. Triple J spearheaded her trajectory worldwide playing multiple tracks from her highly acclaimed debut EP, featuring ‘Roll up your sleeves’. It was subsequently play listed on radio stations across America and featured in the US TV series ‘Girls’ and ‘Grace and Frankie’. 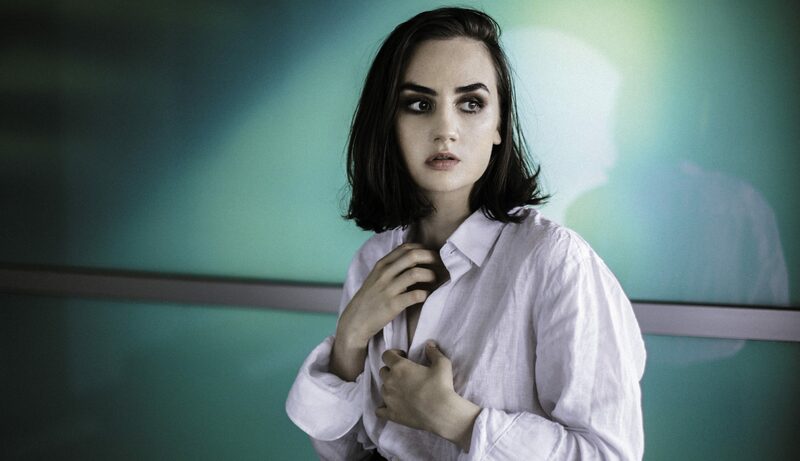 Buzzfeed heralded MEG MAC the number one SXSW act to watch out and she earned glowing Worldwide reviews – “Roll up Your Sleeves” is a breathtakingly beautiful introduction to one of pop music’s most exciting new talents”. (Idolator USA). 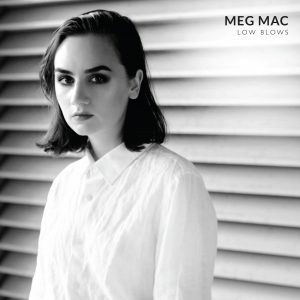 In 2015 MEG MAC was nominated for 2 ARIA Awards the following year named as one of Triple J’s Top 5 ‘Unearthed’ discoveries of the last decade. MEG MAC grew up in an Irish family surrounded by the sounds of her mum singing old Irish songs and records by Ray Charles, Sam Cooke, Edith Piaf, Nina Simone and Otis Redding spinning on the turntable; permeating her soul. Meg says ‘I was always inspired by soulful voices and big voices – I grew up listening to and mostly influenced by singers”. “Singing was always normal and so was playing the piano. It was just what I did without thinking too much about it. When I put the two together, I started writing music. I’d sing and play piano for hours and eventually that turned into song writing and I got obsessed,” explains Meg. The bedrock of Meg’s compositional approach is reflective and personal. “I started writing to make myself feel better. I have always written about myself; keeping everything very close to how I am feeling”. She draws inspiration and attitude from songwriters like Bob Dylan, Bon Iver and Patti Smith. “Their songs stick with me and I can carry them around. They describe a feeling perfectly and I can understand it,” say Meg. PIXX Debut album The Age Of Anxiety out today!